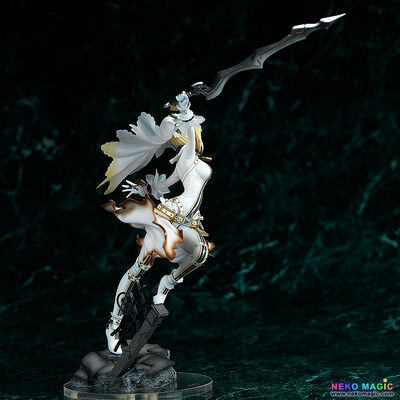 August 10th, 2015 By: GGT Category: 2015/12 release, Figure News. 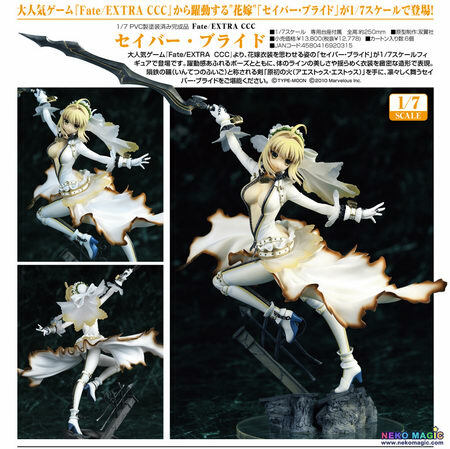 Souyokusha is going to release the Saber Bride ( セイバーブライド ) 1/7 PVC figure form the “Fate/stay night” series “Fate/EXTRA CCC” ( フェイト/エクストラ CCC). Will be released in December 2015. Around 250mm tall, 12,778 yen. 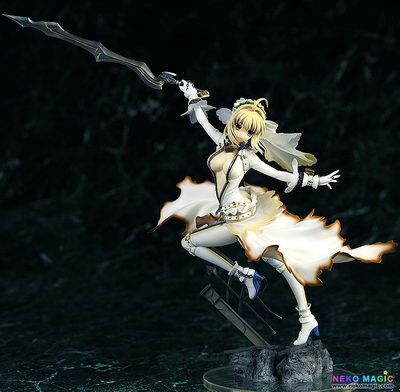 From the popular game ‘Fate/EXTRA CCC’ comes a dynamic 1/7th scale figure of Saber Bride! 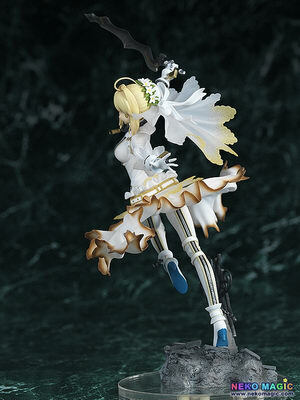 From the popular game ‘Fate/EXTRA CCC’ comes a 1/7th scale figure of Saber Bride wearing her wedding dress! 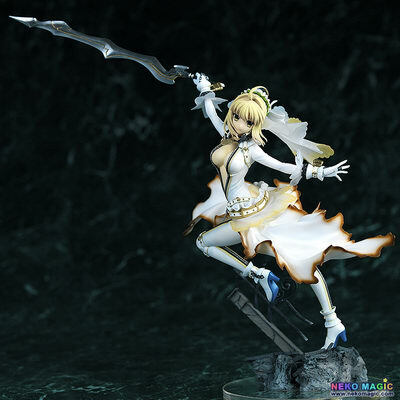 The dynamic pose has been sculpted while preserving the beautiful curves of Saber’s body as she twists around with the blade ‘Aestus Estus: The Embryonic Flame’ in hand. 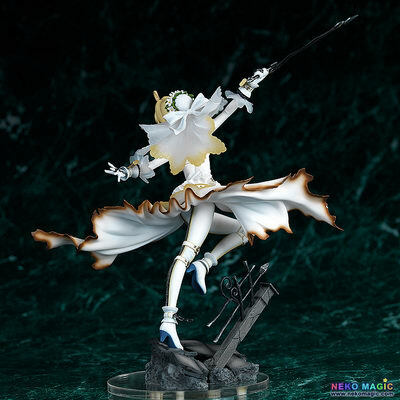 The details and movement of her unique outfit have also been captured in detail for fans to enjoy.